You and your team of 2 to 6 players have 70 minutes to unravel the secrets of a mysterious room. Immerse yourself in a curious world, and solve fun, challenging puzzles to escape before the timer runs out. Created by 3 psychology PhDs. The Puppeteer's Workshop is an exciting, immersive experience that places you right inside the story. You and your friends, family or colleagues must work together to beat the clock. Our game is fun and challenging for new and experienced players. Be prepared to flex all your mental muscles to solve a wide variety of puzzles and brainteasers. Can you uncover all the secrets in time? What is the Puppeteer's Workshop? 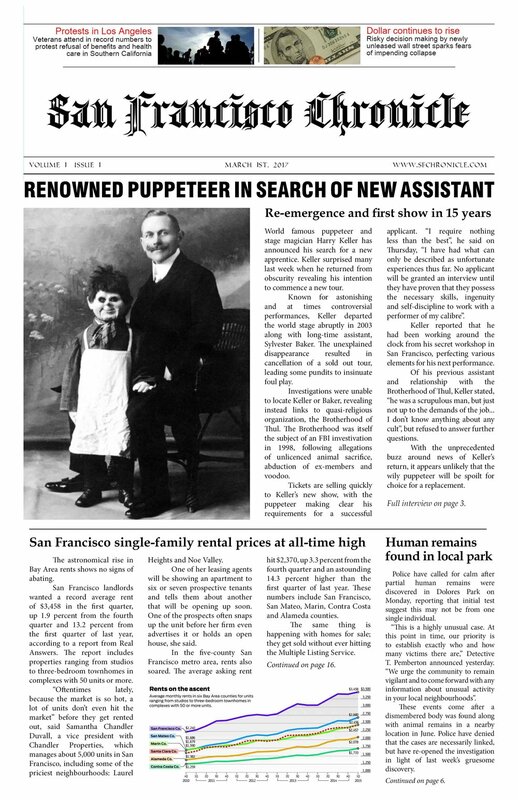 Mysterious stage puppeteer Harry Keller has returned from an unexplained hiatus, and he is searching for a new apprentice. Will you be able to escape Keller's curious workshop in time? We are a trio of Australian psychology PhDs, passionate about game design and innovative, exciting interactive experiences. We have designed escape rooms for locations all around the world - from Australia to Singapore, South Africa and Canada. We wanted to bring a fresh style of escape room game to the US. By choosing the members of your small group, you will share in every moment of this totally immersive, live experience.